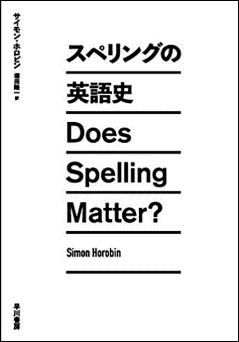 ・ Horobin, Simon and Jeremy Smith. An Introduction to Middle English. Edinburgh: Edinburgh UP, 2002. ・ Horobin, Simon. The Language of the Chaucer Tradition. Cambridge: Brewer, 2003. ・ Horobin, Simon. Chaucer's Language. 1st ed. Basingstoke: Palgrave Macmillan, 2006. 2nd ed. 2012. ・ Horobin, Simon. Studying the History of Early English. Basingstoke: Palgrave Macmillan, 2009.